Bourbon Beach Jamaica is located right on the beachfront in 7 Mile Beach, 2 km from central Negril. Let yourself be carried away by the unique atmosphere that characterizes Bourbon Beach! Ours rooms are located in front of the sea & from our terrace you can enjoy a spectacular view of the crystal waters not to mention the colorful sunsets. Free WiFi in common areas is available. Rooms at Bourbon Beach Jamaica feature 2 double beds, bathroom with a shower and AC. 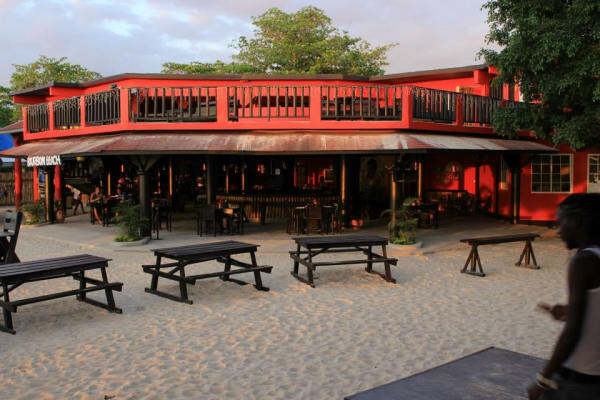 Bourbon Beach Jamaica is known for their jerked chicken and entertainment, the property offers live music or a DJ seven nights a week and until 2:00AM, and all guests receive free admission.